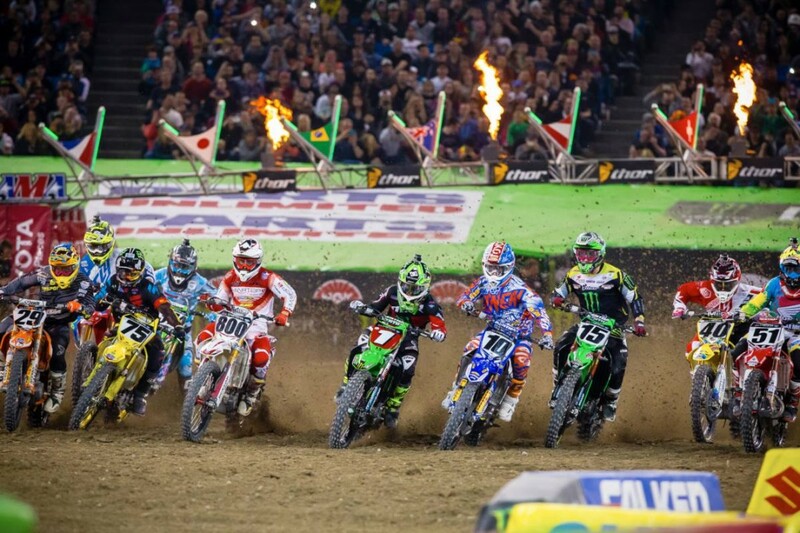 AURORA, Ill. (March 24, 2014) – As the Monster Energy AMA Supercross, an FIM World Championship heads to St. Louis’ Edward Jones Dome this Saturday night. Monster Energy Kawasaki’s Ryan Villopoto, the three-time defending Championship, carries a 25-point advantage over Red Bull KTM’s Ryan Dungey. For the first time in the Eastern Regional 250SX Class Championship, Monster Energy/Kawasaki’s Martin Davalos rides into St. Louis with a four-point lead over his teammate Adam Cianciarulo, who has three wins this season. Media day is Thursday, March 27 from Noon-2:00 p.m. Riders will be available for interviews and will ride the track for the media. 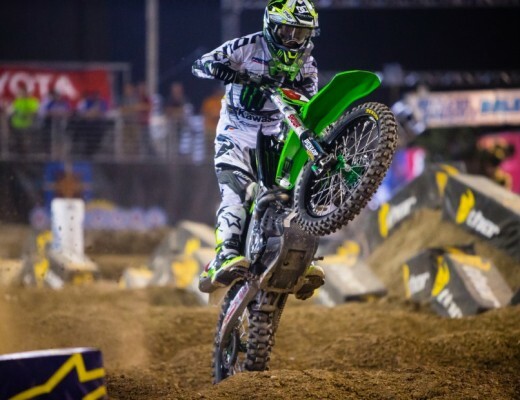 Current 450SX Class points leader Villopoto endured his toughest day of the season en route to a sixth-place finish. 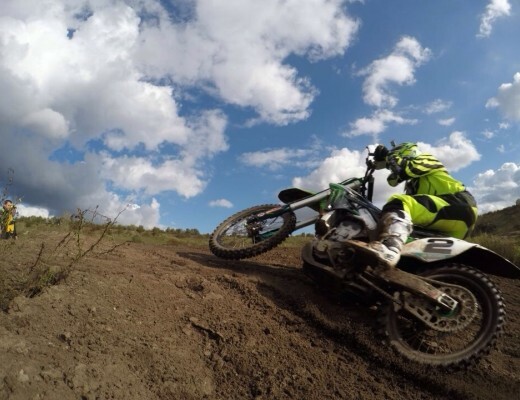 Villopoto did not log a single lap of afternoon practice after his team reported he was suffering from food poisoning. A top-10 ranking in the championship guaranteed Villopoto a provisional for the night show and he was able to transfer into the Main Event through the Semi. After starting second in the Main Event, Villopoto dropped to as far back as eighth but made a late charge to move into sixth and lose minimal ground in the championship. Villopoto lost just five points to Dungey in the 450SX Class standings, currently holding a 25-point lead with five races remaining. Villopoto has won the St. Louis Main Event during the past two seasons and has his sights set on his third-consecutive win in the premier class. Ricky Carmichael and Chad Reed share the all-time win record in St. Louis in the 450SX Class at four apiece. Current 450SX Class rider Barcia won three consecutive races in the 250SX Class races and holds the record for most wins in St. Louis. 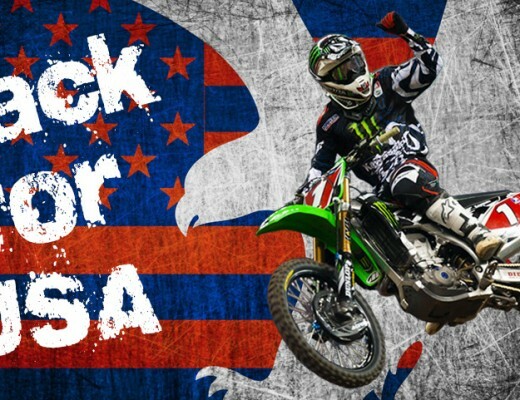 Tickets are available at the Edward Jones Dome Box Office, all Ticketmaster outlets, charge by phone (800) 745-3000, or online at www.SupercrossOnline.com or www.ticketmaster.com. Practice and qualifying begin at 12:30 p.m. and the Main Event starts at 7:00 p.m. Club Seats are $55 Adult/Child; Gold Circle $40 Adult/Child; 400 Lower Level Loge $30 Adult/$10 Child; Upper View Sides $20 Adult/$10 Child; Treadhead $10 Adult/Child. Fans can also get in to the Pits for FREE from 12:30-6 p.m. Race Day when they recycle a MONSTER Energy Can at the stadium’s pit entrance (valid only with event ticket).